The "Subtle Art of a Cat" or Neko no Myōjutsu (猫の妙術) is a dangibon (談義本) a short educational essay in a humorous or satirical style by the 18th century Japanese samurai Issai Chozen in a book of secrets of swordsmanship called Inaka Soshi (田舎荘子). 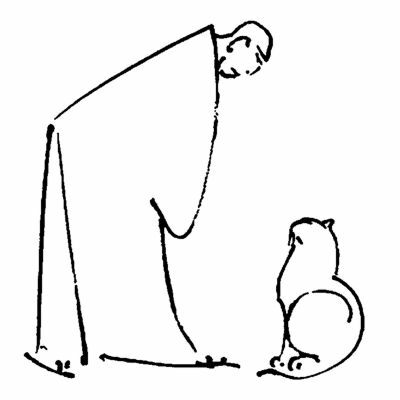 That Zen is closely associated with Japanese traditional arts is fairly well known, but to be instructed in Zen by a cat is more noteworthy. Hhere is a PDF of the "Subtle Art of a Cat".